After the Battle of Britain the RAF realised that existing selection establishments would not be able to cope with the need to enlist thousands more aircrew. Lord’s Cricket Ground was requisitioned to become the Aircrew Receiving Centre (ARC), and nearby blocks of flats were requisitioned for billets, together with the restaurant at the Zoo, which was to be used as a canteen. The domestic cricket season had already come to an abrupt end on 1st September 1939 – two days before the declaration of war – and the ground was used for many different activities. 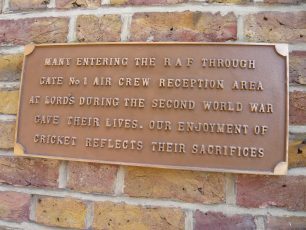 Many buildings at the Pavilion End were used by the Aircrew Receiving Centre, which is commemorated today by a small unobtrusive bronze plaque on the pavilion, whilst part of the Nursery ground was used by 903 Squadron Balloon Barrage, part of London’s defences against low flying enemy aircraft.The ground was also used as Auxiliary Fire Station (AFS) 11V of the AFS. In 1941 we duly arrived at St Pancras station and transport took us to Abbey Lodge at Regents Park. There were possibly about 300 in this intake and we were scattered around various places to sleep. 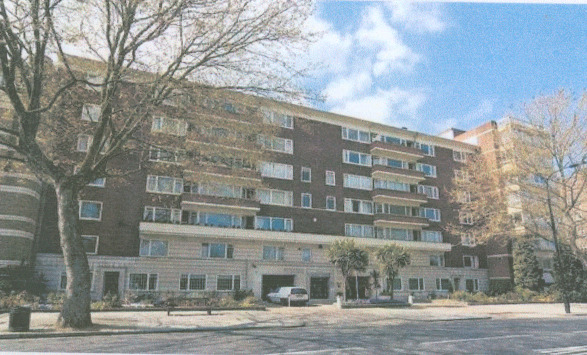 We were put in some uncompleted apartments at Bentinck Close, Prince Albert Road, overlooking the Park. These are now very superior London apartments but, at that time, work on them had been halted . . The 2 – 3 week course enabled them to receive basic instruction, go through rigorous medical checks and take a series of tests to identify suitable roles for those who passed. The men were then posted to Initial Training Wings round the country. Another of the volunteers, Bert Cole, who became a bomb-aimer on Lancaster Bomber ED 719, had been an apprentice carpenter in 1936, and was in a reserved occupation doing war work on building sites, but signed up for a pilot’s course in May 1941. 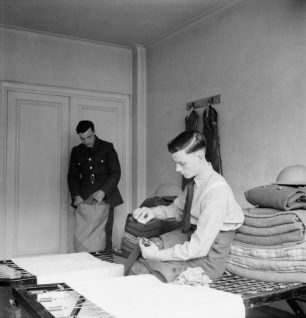 His employers tried to prevent him joining up by writing to Air Ministry, but permission was always given to those who wanted to join the RAF as aircrew, and he became part of intake 17/17 in October 1941 and was billeted in Viceroy Court, St John’s Wood. 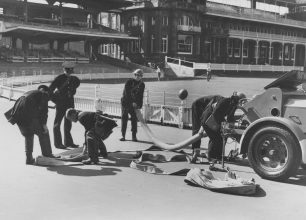 He said later: We were in civilian clothes and fed at Regents Park Zoo at seven o’clock in the morning, carrying an old fashioned hurricane lamp each end of the column so that we did not get run over by motorists in the dark. Another volunteer who went through ARC was Michael Bentine (later a comedian and original member of the Goon Show). 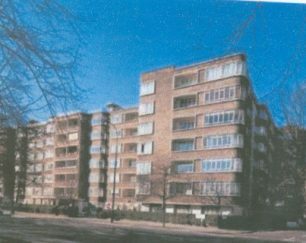 We, brand new aircrew cadets, wore a distinguishing white flash in the front of our caps and were billeted in the numerous luxury flats that fronted the top half of Regents Park. These blocks of smart modern apartments had been left empty practically overnight when the air raids hit London in 1940 and had since been taken over by the RAF Training command to house the thousands of young cadets who were passing through the reception centre. Although we didn’t complain at the comfortable billets, it did seem to be a strange place to concentrate the RAF’s most valuable long-term assets. I can’t imagine the Germans doing the same thing in Berlin. Aircrew had to be 19 years old before they could take part in operations. 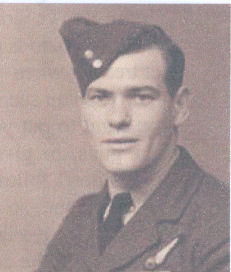 Warrant Officer Ernie Reynolds had joined the Air Training Corps but as soon as he was old enough applied for the RAF. 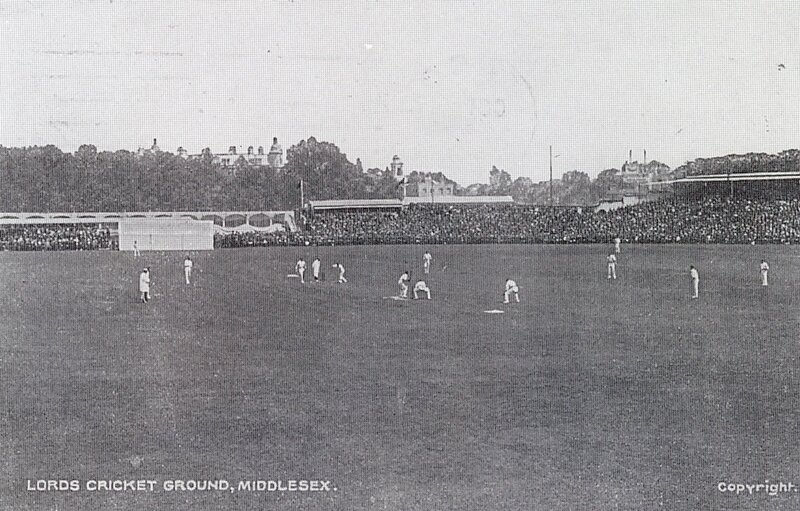 He spent 3 weeks at Lord’s, billeted in a flat nearby and had his inoculations and wore his uniform with a white flash on his caps. The white flash meant that when we got time off, we could walk into any pub in London and we never bought a single pint of beer. The people in there, that had gone through the Blitz, when they saw there were aircrew in there said “Give them a pint” and nobody would let us buy beer. 9.8.43. Posted to No. 1 ACRC, Lord’s Cricket Ground. 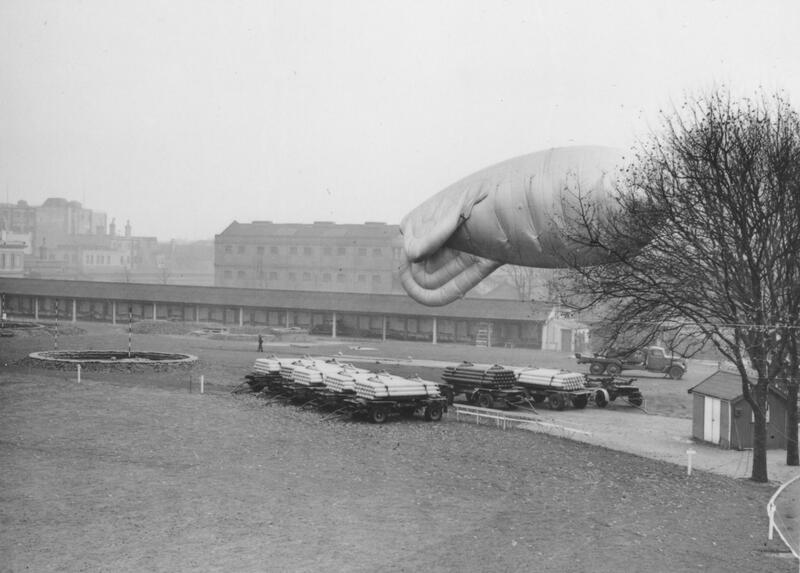 I was surprised that the ACRC was located in London when one bomb could have wiped out hundreds of potential aircrew. 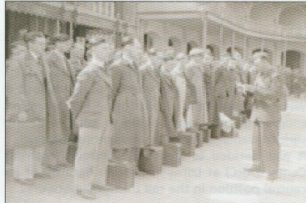 We were immediately issued with our kit and uniform, and then had to march to our billets carrying our civilian suitcase, two kitbags, back pack, side pack and gas mask case. We soon realised how unfit we were. 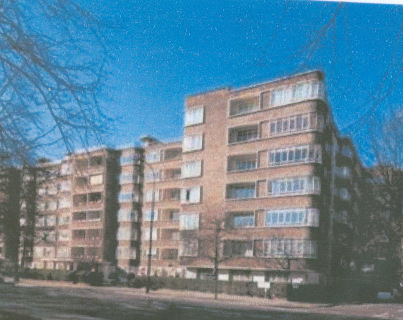 The accommodation was in luxury flats in St. Johns Wood. They had been stripped of all their luxuries, but at least we had decent bathrooms and toilets, and sheets on our beds. White sheets were one of the perks of aircrew and we had them until we were withdrawn from flying training in September, 1945. On the second day we all had a compulsory haircut. No comb and scissors affair, electric clippers straight over the top whether or not you gave the hairdresser a sixpenny tip. One airman was processed every 90 seconds. The food was good, but the discipline irksome and at times farcical. I remember one day coming out of the mess and putting my forage cap on as I stepped through the door. The RAF Sergeant waiting outside promptly ordered me to report for an hours punishment drill that evening for appearing in public bare-headed. You soon acquired a healthy respect for the powers of NCO’s. Church parade was compulsory every Sunday, but it did at least ensure that the local churches had good congregations. After a few days, we were allowed out into the city and I remember enjoying several free concerts by distinguished musicians. There were a few air raid warnings but I don’t remember any activity in our area. We were subjected to large doses of square bashing and my previous experience in the OTC and ATC came in useful. Everyone had to try and swim a length of the baths and those who couldn’t received a crash course. Numerous tests were used to confirm our fitness to fly, including a night vision assessment. In this you were seated in a dark room on a chair with a restraining collar round your neck. You had to name the objects or shapes which appeared momentarily on a small screen in front of you. RAF Regents Park opened on 14 June 1941 and received the first intake on 30 June. It closed on 31 August 1944 after more than 115,000 civilians and 44,000 in-service volunteers passed through. 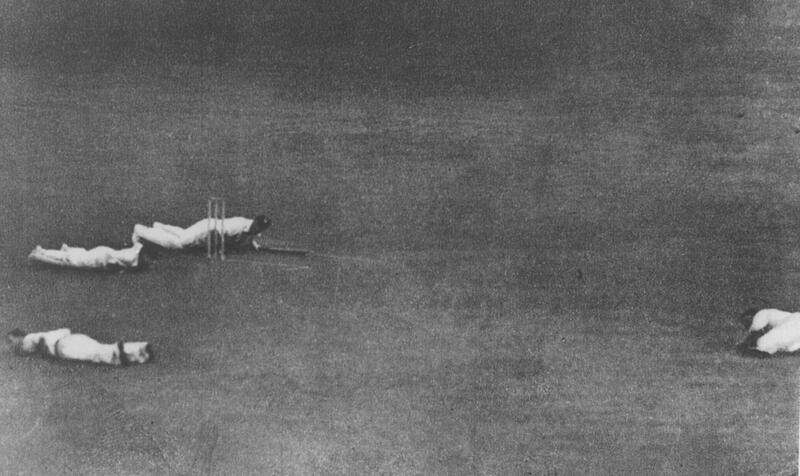 Cricket continued, even while flying bombs were passing overhead. 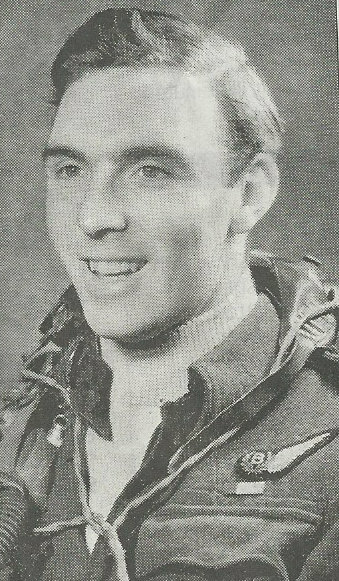 After the war, David Geach, (1923 – 2015)a bomb aimer in the RAF from 1942, fought a one-man battle to commemorate the sacrifices of his fellow aircrew. 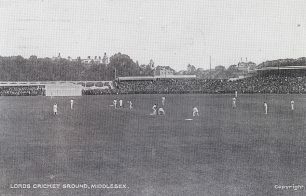 He felt the cricket ground should be the home for a memorial to recognise that future generations’ leisure had been brought about by the deaths of thousands of young men who had passed through Lord’s for their training. 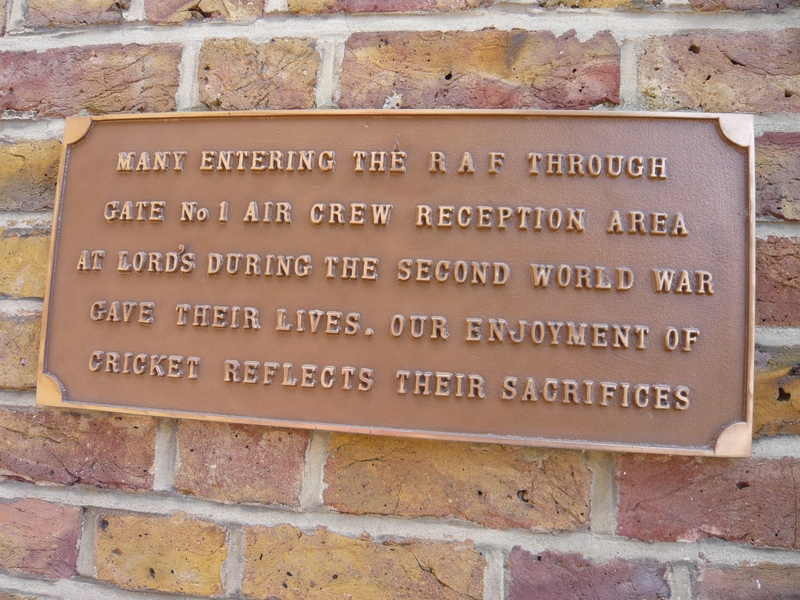 He spent 11 years campaigning until in 1991 the MCC agreed to erect a plaque, the cost to be borne by Geach, although the MCC tried to save space by saying the tribute should be restricted to 24 words. Geach responded to juggle with odd words for a few inches of wall space is bordering on obscenity, given the nature of the subject and in the end the MCC accepted more appropriate wording and the plaque was unveiled in 1992. In September 2009 a Lancaster bomber flew over the ground during a match against Australia to commemorate the 65th anniversary of the opening of the reception centre. This page was added on 29/03/2012. Interestingly, what I’ve just read, mirrors the experience of my late father, Trentino Giacopazzi. Although born in Scotland in 1915, his Italian parentage marked him for internment as an ‘enemy alien’ in June 1940. Upon his release, he volunteered to join the RAF, his long term ambition and, on a freezing day in January 1941, he reported to the Air Crew Receiving Centre at Lords. Two things he mentioned to me; one, that a lot of the lads passed out while being inoculated from every side white coated RAF doctors. Two, they were billeted in luxury flats wired for television, which hardly existed at the time. My father was assigned to Fighter Command, ultimately working in RADAR at chain home stations around the coast of Southern England until demobilisation in 1946. 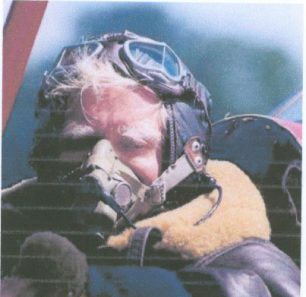 He loved his time in the RAF, always talking about it enthusiastically to me as a child. Does anyone know my father Harry Kershaw who was billeted there? Hello, does anyone remember or have any information on my father, Alexander Gatrell (1568113), who joined up in 1942? Does any one remember my husband Ed Williams who was a trainee pilot in 1941?